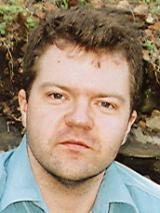 Marko Attila Hoare was Greater Europe Co-Director, then European Neighbourhood Section Director of the Henry Jackson Society from 2005 until 2012. The following is a complete archive of his work for the Henry Jackson Society. Please note that this is not the official website of the Henry Jackson Society. It is not the property of the Henry Jackson Society nor of Marko Attila Hoare. Neither the Henry Jackson Society nor Marko Attila Hoare is responsible for its content.